Most of the time your equipment does a great job, but every once in a while you may find that under certain circumstances, your photos may seem a little soft. Although there are no less than a million reasons why this might be, it may simply be that your lens isn’t focusing where it’s supposed to. You may be thinking that if this is the case, isn’t something seriously wrong? Not necessarily. Some cameras are equipped with a feature to tweak the accuracy of its autofocus – Nikon calls this autofocus fine tuning. Autofocus fine tuning allows you to dial in the autofocus accuracy of a camera/lens combination. 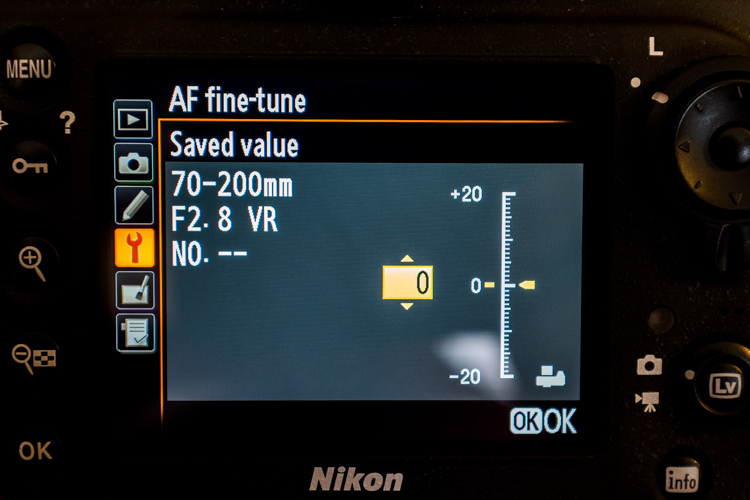 What is autofocus fine tuning? Camera lenses are built, and tuned, to fairly exacting standards and do what they are supposed to pretty well, even lower-end lenses. However, there is a window, albeit fairly minute, that focus tuning parameters fit into. If the lens’ tuning falls right in the middle of that window, the focus will be spot on, but it’s not uncommon for the focus to be at either end of that window while still meeting quality control standards. What this means is that in the majority of shooting situations you are going to end up with sharp results. In some situations when you are pushing the accuracy limits of the lens, such as macro photography or shooting at wide apertures, you may discover that the lens focuses a little in front or behind the focus point you’ve chosen. Maybe you’ve seen this shooting a close-up portrait at a wide aperture – although you are trying to get the subject’s eyes in the focus plane, you keep getting their eyebrows or ears sharp instead. This is where lens fine tuning comes into play. What this feature does is allow you to dial in the accuracy of the lens/camera focus point even more precisely than it already is. If you haven’t noticed any problems with your setup, or mostly shoot at smaller apertures, going through this process may be unnecessary. This feature can be found on Nikon bodies from the D7000 up and Canon bodies from the 50D and up, as well as several Sony, Olympus, and Pentax cameras. Fine tuning settings are specific to the lens/camera combination and once you tune a lens, the camera saves the setting, which it reverts to anytime you mount that lens. Although you need to use a CPU lens to reap the full benefits of autofocus fine tuning, older analog or third party lenses can be fine tuned, and the settings saved manually on Nikon DSLRs. 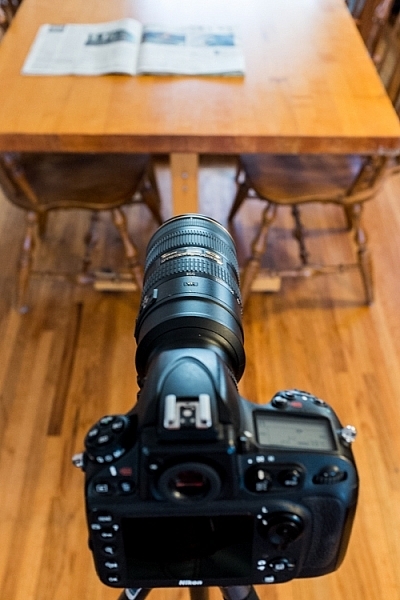 Step 1 – Mount your camera on the tripod and adjust it so the lens is about two feet above table level. 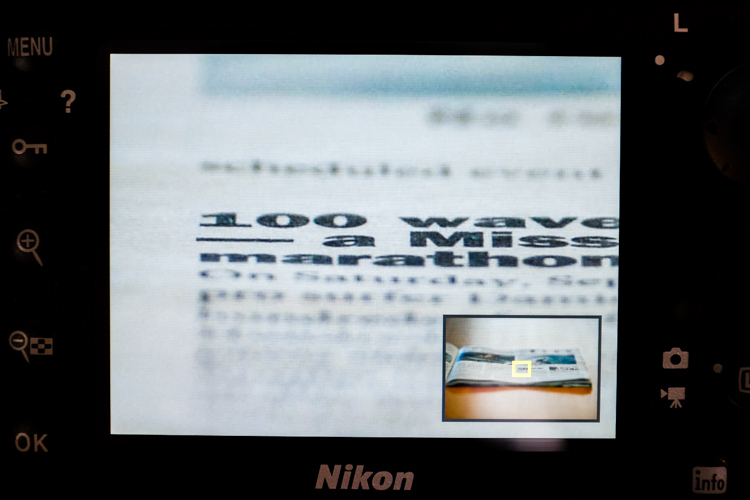 The idea is to have the lens pointed at the newspaper at about a 30-degree angle. The setup to adjust autofocus fine tuning is fairly simple. Step 2 – It is recommended to set the zoom (if using a zoom lens) to the focal length and distance which you use most often. Step 4 – Open the lens to one stop down from its widest aperture (e.g. set an f/2.8 lens to f/4) and the middle of its zoom range (if it’s a zoom lens). Step 5 – Place the focus point in the middle of the frame (center dot). I prefer to align the focus point with something recognizable like a letter of bold text among normal text. With autofocus set to AF-S (one-shot), single-point, place the focus point in the center of the frame. TIP: A helpful method is to turn on Live View and place the small dot in the middle of the focus box on a letter of text. Zoom in the view (NOT the lens) which gives you a more precise center point than the small box seen through the view finder. Turn off Live View to continue. Using Live View helps to line up your focus point more precisely. Step 6 – Set the self-timer on the camera to at least five seconds to allow the camera to stabilize after pressing the shutter button. Step 7 – Turn off any stabilization either in-lens or in-camera. Enabling focus point on image preview allows you to see where the focus was set when the picture was taken. Step 9 – Defocus the lens manually and then engage autofocus until it locks onto the focus point and press the shutter button. 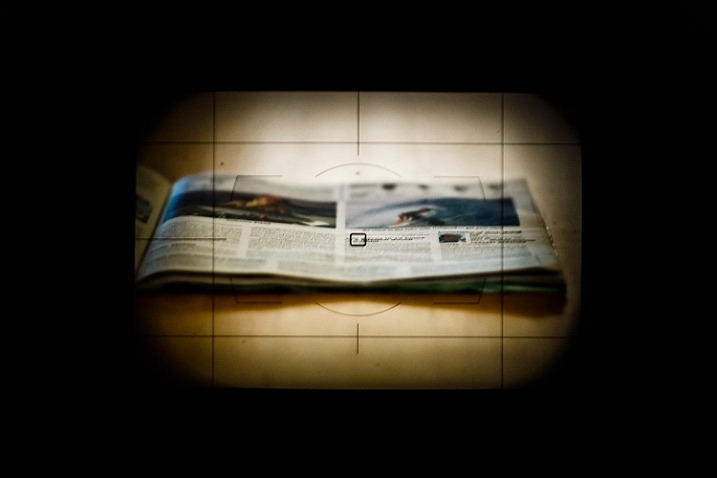 Step 10 – Review the image and zoom in to check the accuracy of the focus point. Do this a few times for verification. Preview the image and zoom in to check the accuracy of the focus point. If it appears that sharpness is centered on the focus point, great, your lens’ focus is accurate and you’re good to go. If not, continue reading. 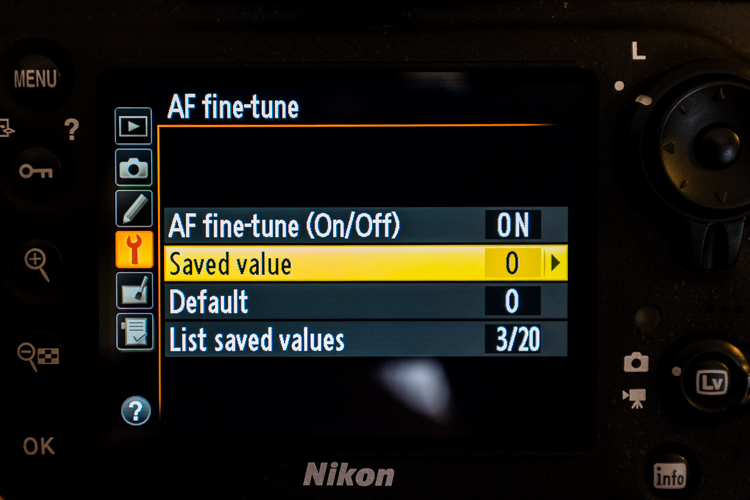 Step 11 – To adjust the autofocus fine tune go to: Menu>Setup menu>AF fine-tune>AF fine-tune (On/Off) and turn it on. Go back and select Saved value. The menu location of autofocus fine tuning. Your lens’ information should be displayed in the upper left corner and the fine-tune adjust on the right. Step 12 – Positive numbers correct for back-focusing (focusing behind the focus point) and negative numbers correct for front-focusing. Positive values adjust the focus point away from the camera while negative values move it closer. Remember, this is called “fine-tuning” so the increments are pretty small – a +1 is hardly noticeable. 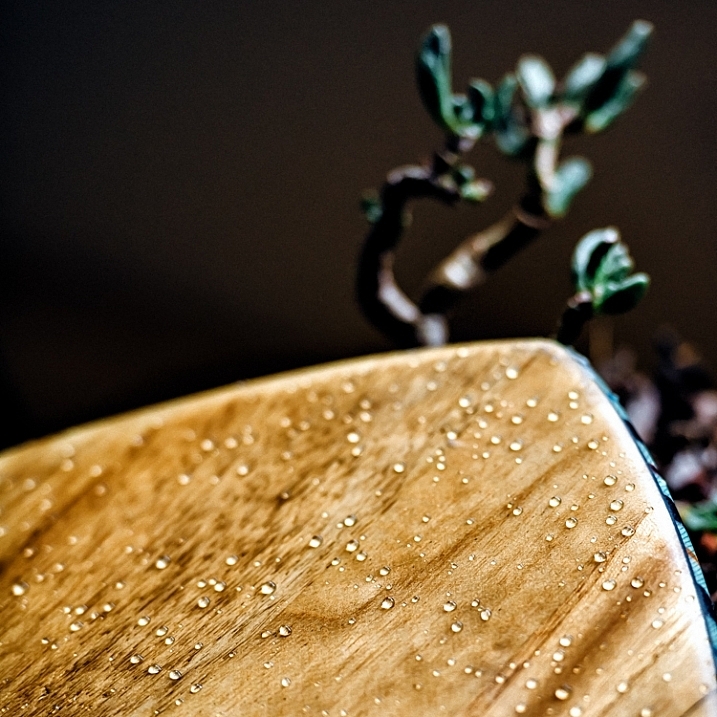 Step 13 – After each adjustment, defocus the lens manually and repeat the steps above until you hit the sweet spot. The settings you have applied to a specific CPU lens are saved, and are loaded automatically anytime that lens is mounted to your camera. With non-CPU lenses, you can create a profile for that lens which you can then save and revert to manually when that lens is used. If your lens’ focus still fails to hit the mark after attempting autofocus fine-tuning, either go old-school and use manual focus if it’s practical, or you will need to send your lens in to have it calibrated with a special machine. 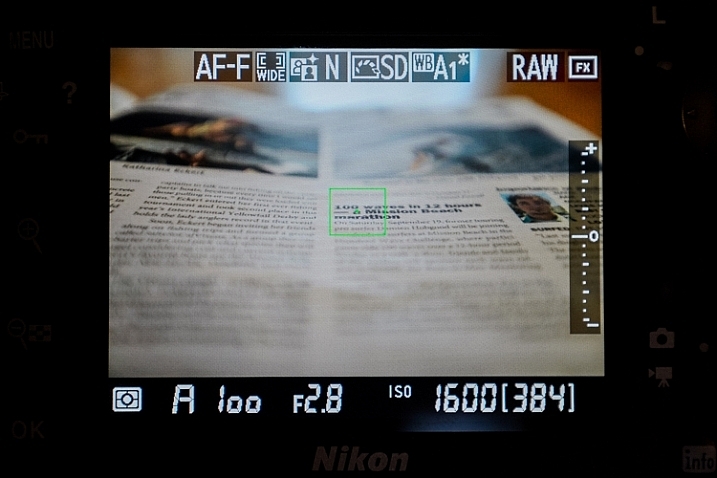 If you use a brand other than Nikon check your camera manual to see if your model has this feature and how to use it. Good luck and may your images be as sharp as my witticisms – hopefully much sharper. 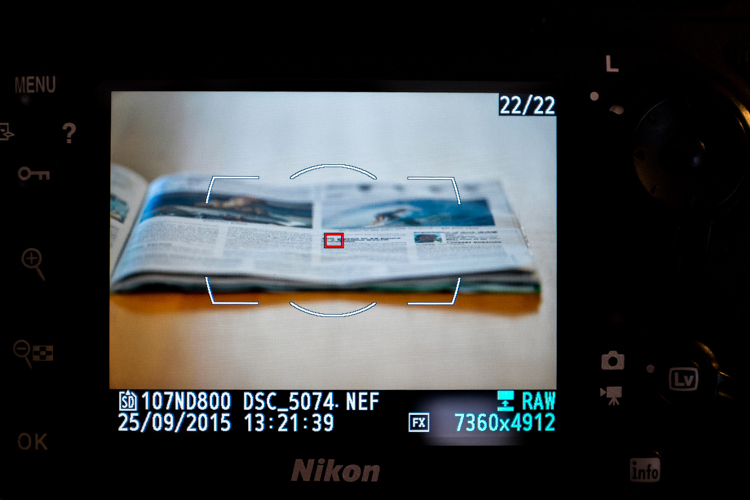 The post How to do Autofocus Fine Tuning on Your Nikon DSLR by Jeremie Schatz appeared first on Digital Photography School.